During his speech at our wedding my wife’s father worked in my passion for Arsenal and noted that whilst writing his address he had been looking for a link between the Gunners and his home town club Leicester City. As soon as the words left his mouth I blurted out “First game at Highbury”. My father-in-law said he had asked one of his brothers about a link earlier in the day and had been pointed in the direction of the three all draw of 1954, whilst his own research on the official Arsenal website had led him to the twelve goal thriller that was the 6-6 draw in 1930. I knew a bit about players who had represented the Gunners and the Foxes, legends like Geordie Armstrong who left London for Leicester in 1977 for a transfer fee of just £15,000 after falling out with manager Terry Neill and was reunited with our great double winning captain Frank McLintock who was by then in charge at Filbert Street, for one solitary season, and had himself moved in the opposite direction as a player when Billy Wright paid £80,000 for his services in October 1964. 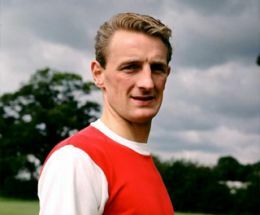 McLintock had replaced Jimmy Bloomfield as Leicester boss, Bloomfield had spent six years at Arsenal during his playing career. 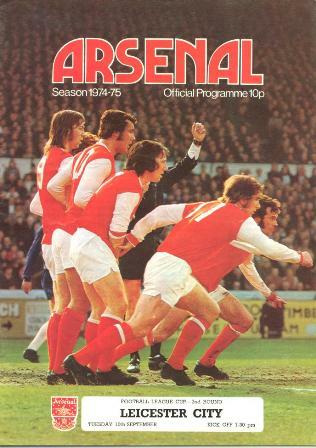 Jon Sammels who took to the pitch in the colours of the Arsenal on no less than 300 occasions scoring the goal that clinched the 1970 Fairs Cup and collecting a league championship winners medal as the Gunners marched towards an historic double the following season. In the week that preceded the cup final win that saw the Arsenal seal their first league and cup double Sammels reluctantly moved to Leicester City in a £100,000 deal, feeling he had become a scapegoat for every Arsenal mistake despite all he had achieved at the club. 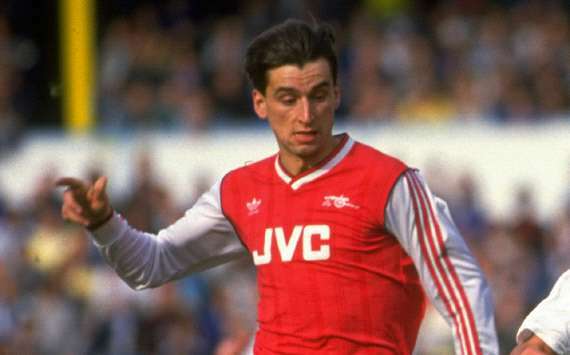 And amongst others such as Kevin Campbell, Eddie Kelly, Jeff Blockley and Lawrie Madden, who all donned the jersey of both sides at some point in their careers, there was Alan Smith a goal scorer who won the golden boot award in both the 1989 & 1991 Championship winning sides of George Graham. 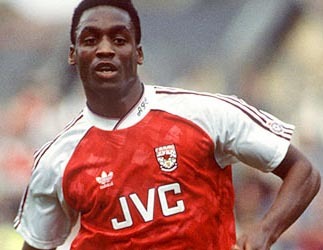 Smudger had been snapped up by Graham for £800,000 in March 1987, however the deal had been finalised after the deadline for transfer completions had passed and Smith was duly loaned back to the side who had just sold him until the season had come to an end and even played against Arsenal when City visited Highbury on April 20th. This was the Arsenal’s second season in Division Two and while it’s not quite clear if the team had a recognised manager in place at the time whoever took charge of the side on the afternoon of January 7th 1895 was unable to steer the Gunners to victory as they headed back down south having suffered a 3-1 defeat. The return fixture on the 9th March was held at the Lyttelton Cricket Ground, Leyton after Arsenal’s Manor Ground was shut for five weeks by the Football League after crowd trouble had broken out in a game against Burton Wanderers, this second meeting of the clubs finishing in a 3-3 draw. Fast forward fifteen years to 1910 and the Chairman of Fulham Football Club, Henry Norris, had decided that for him one club was not enough, and after looking into the possibility of taking over either Chelsea or Tottenham Hotspurs it came as something of a surprise when the former mayor of Fulham decided to splash out on Woolwich Arsenal a side rooted to the foot of the Division One table who didn’t have two brass farthings to rub together, a side that played it’s football on the feted bog pit of the manor ground in Plumstead. Norris’ original plan had been to merge Woolwich Arsenal with Fulham but this proposal was rejected by the football league and Norris was informed that he could only be involved with one club and severed his ties with the Cottagers (According to Arsenal historian Tony Attwood Norris had also been involved with Croydon Common FC but that’s a story for another day). No one really knows why Norris choose to stick with what would have been perceived as the ‘lesser club’ but thankfully he did and in the summer of 1913 began to search out a new site for his club after they had suffered relegation from league one, the only time in the clubs history that it has dropped out of the top flight, amidst dwindling supporter turn out at the manor ground. With it’s close proximity to Gillespie Road tube station the recreation fields of St John’s College of Divinity was deemed to be almost the perfect location. I say almost because whilst Norris wasn’t worried about moving the club from it’s South East roots to North London he did consider that given the fact one of the main objectives of the operation was to increase the number of paying supporters turning out to watch his side the close proximity of Tottenham Hotspurs and Clapton Orient was something of a concern. However with the ground placed so close to the underground station it was too good an opportunity to turn down and a £20,000 twenty-one year lease was agreed. Objections were raised by Spurs and Orient who felt it unfair that a club from outside the area could encroach upon it’s North London turf, of course Orient would go on to move from their Homerton home to Leyton in 1937 and ninety-eight years after attempting to fend off Norris and Arsenal the O’s would find themselves embroiled in another case of encroachment when Spurs and West Ham United rivalled their own bid for occupancy of the new Olympic Stadium at Stratford. The local residents of Highbury were also unhappy at the thought of new neighbours and along with the local football clubs they petitioned against the move. However a league management committee turned down all appeals and architect Archibald Leitch was charged by Norris with building a new stadium on the site, his previous experience of designing and building stadiums such as Glasgow Rangers Ibrox Park and Sheffield United’s John Street Stand at Bramall Lane had made him the obvious choice for the job although with just four summer months in which to complete his work time was certainly in short supply. At a cost of £125,000 Leitch levelled the playing fields, erected a new grandstand on the eastern side of the ground and added three additional banks of basic terracing around the perimeter of the pitch. Although it was far from complete the original Arsenal Stadium which would forever be known as Highbury was ready for the start of the 1913/1914 season during which the club still known as ‘Woolwich Arsenal’ would compete in Division Two and hosted it’s first game on September 6th 1913 when they defeated Leicester Fosse by two goals to one. Just as Aston Villa’s Olof Mellberg would be the first player to score a competitive goal at the Emirates Stadium, when Arsenal moved again ninety-three years later, it was an opposition player who first had the ball in the back of the net at Highbury. The Fosse’s Tommy Benfield putting the visitors one nil up before George Jobey scored the home sides equaliser and first goal on home soil, nodding home from Tommy Winship’s corner shortly before the half time interval. The game remained locked at one a piece until, with just twelve minutes remaining, the ball was handled by a Leicester player and the gunners were awarded a late penalty. In front of a crowd of 20,000 spectators Andy Devine stepped up to score from the spot and insure that life at the new home got off to a winning start. The game was not without incident, Jobey received a kick in the back from a Leicester player and was treated by doctors and ambulance men before being taken home on the back of a cart borrowed from a local milkman. Twenty years on and we reach that game and it’s gluttony of goals my father-in-law had mentioned. Five days before their 2-0 FA Cup final win over Huddersfield, Herbert Chapman took his Arsenal side to Filbert Street for a game that would create football history. David Jack had the ball in the home sides goal after just two minutes but his effort was ruled out for offside, by the 21st minute David Halliday had given the Gunners the lead but at half time City headed into the dressing room with a 3-1 advantage. The first of the foxes goals was somewhat controversial, Dan Lewis saved a shoot from Hugh Adcock but was unable to hold on to the ball. Arsenal right back Tom Parker had appeared to clear the loose ball off the line but the referee saw fit to allow the equaliser to stand. Two minutes later Leicester took the lead for the first time in the game thanks to a goal by Arthur Lochhead and just before the half time whistle blew Adcock scored his second of the afternoon, this time firing his shoot through Lewis’ hands. The Arsenal were as quick out of the traps in the second half as they had been in the first but on this occasion the goal within two minutes of the kick-off stood, Cliff Bastin giving the visitors a route back into the game. Sensing that they could perhaps still take something from the match Arsenal went on the attack and in a five minute period between the 58th and 63rd minute, Halliday scored another two goals to complete his hat-trick and added a fourth to his afternoons tally. The gunners were now leading by five goals to three. Leicester replied with a goal from Ernie Hine but with just thirteen minutes left on the clock Jack played in Bastin who dribbled through the Leicester defence and scored to restore Arsenal’s two goal lead but further goals were still to come. Len Barry pulled the score back to 5-6 before Lochhead scored the twelfth and final goal of the game. This remains the highest scoring draw in top flight English football, although it was matched in a game between Charlton Athletic & Middlesbrough in 1960. David Halliday, scorer of four of the Arsenal goals that afternoon, went on to manage Leicester City between the years 1955 and 1958. Despite being a prolific goal scorer at Dundee (90 goals in 126 appearances) and Sunderland (156 goals in 166 appearances) the forward only spent one season at Highbury making a total of fifteen appearances and scoring nine goals, four of which came in the game against Leicester. Halliday never really found his feet in London and despite that four goal haul just days before the 1930 FA Cup Final he was left out of the Gunners team that beat Huddersfield to claim the clubs first major trophy. After hanging up his boots Halliday spent thirteen years (1937-1955) in charge of Aberdeen during which time he led the Scottish side to their first ever league championship in his final season before moving back south to take the helm at Filbert Street, guiding the foxes to the 1956/57 second division title and promotion to Division One. Although Halliday was only in charge for one top flight season the twelve season period between 1957 and 1969 remains the foxes longest ever spell in the top tier. Another Leicester City record came against Arsenal in the form of their record attendance for a league game at Filbert Street. On October 2nd 1954 42,486 fans packed into the old ground to watch that three all draw my father-in-laws brother John had alluded to. With fans literally pouring from the terraces before the game kicked off it is little wonder that there were two fatalities that Saturday afternoon. A cloud of red & white balloons were sent into the air as an Arsenal side which included Tommy Lawton, who had briefly played for Leicester as a war time guest 15 years earlier, took to the pitch. The City side included Arthur Rowley, holder of the record for the most goals in the history of English League Football. What price would a player capable of scoring 434 goals in 619 league games command today? I’ve no idea if any efforts were ever made to bring Rowley to London but with his scoring prowess and nickname ‘The Gunner’ it would certainly seem a good fit on paper at least. Rowley wasn’t the only productive goal scorer in the foxes starting XI that afternoon, Manager Norman Bullock also had Derek Hines at his disposal. Between them Rowley & Hines notched up a combined 382 goals whilst in Leicester colours and it was to nobodies surprise when the duo put the home side 2 – 0 up soon once this game got underway. The Gunners hit back with goals from Lawton & Jimmy Logie before half time and after the interval Rowley struck from the penalty spot to make it 3-2 before Lawton scored again for the visitors. Arsenal had the chance to complete a dramatic turn around with a penalty of their own but the City keeper saved the spot kick to insure the game finished in a draw. 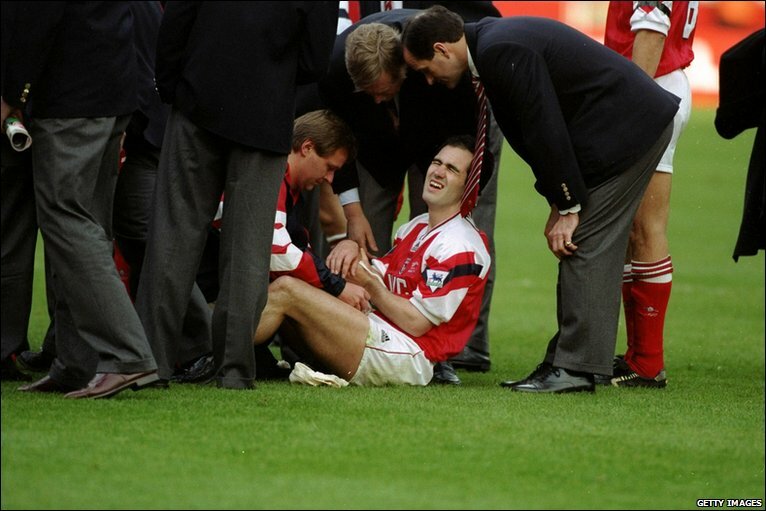 Terms such as ‘letting a two goal lead slip’ and ‘conceding a late equaliser’ could have been plucked from a variety of Arsenal related match reports from recent seasons and they seem to be something of a regular occurrence in games against the foxes and it was no different when Arsene Wenger took his side to Filbert Street in 1997. If ever an individual performance deserved to win a game it was Dennis Bergkamp’s hat-trick on the evening of August 27th, but football is a team game and so it proved as the Gunners let two points slip yet the Dutchman’s treble has been described by some as the greatest hat-trick of all time. The first was an incredible shot of power and accuracy from the edge of the Leicester penalty area. With almost every other player in the box the Dutchman received the ball direct from a corner, took one touch to control it then hit a curling shot into the right hand corner of Kasey Keller’s goal. The second came from an Arsenal break deep in their own half, after receiving it from Ray Parlour Patrick Vieira played the ball across the park into the path of Bergkamp who touched it on past the Leicester defence. Keller came rushing from his goal as Dennis chassed the ball and as the American keeper slid in with his feet in an attempt to clear it the Netherlands striker pinged the ball into the air and into the open goal mouth. Leicester found a lifeline thanks to an Emile Heskey goal. 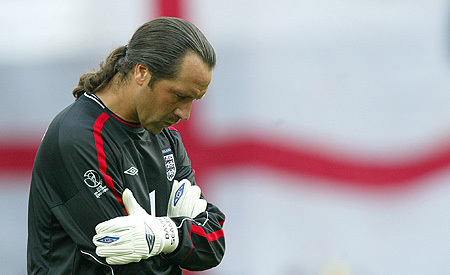 A long ball was played into the Arsenal box and as David Seaman came out to collect it Lee Dixon somehow got himself in-between the goalkeeper and Heskey. The ball bounced off of the right backs chest and back into the path of the man the home fans affectionately called Bruno who steered it into the open goal. The Foxes drew level from a low drive from Matt Elliott which bypassed everyone including Seaman as the game creeped into stoppage time. The goal which completed Bergkamp’s treble came from the restart and it was a goal of absolute majesty, David Platt had spotted the Dutchman’s run into the City box and lofted the perfect ball into his path. Bergkamp took the pace out of the ball with an incredible first touch then flicked it past Elliott with his left foot, while the Leicester defender stood wondering where it had gone Dennis placed the ball past Keller into the top right corner. Yet still the game hadn’t finished, after about six minutes of stoppage time one final chance fell to the homes side. The ball pinging around the Arsenal box fell to Steve Walsh who headed it into the goal to spark scenes of jubilation for the Foxes and their fans and utter outrage from Wenger and his players. Bergkamp is by no means the only Arsenal player to put three past Leicester in any era let alone during the Wenger reign, Thierry Henry scored a total of 226 goals during his time at Arsenal, including eight hat-tricks, the first of which came against Leicester City in a 6-1 win at Highbury on Boxing day 2000. 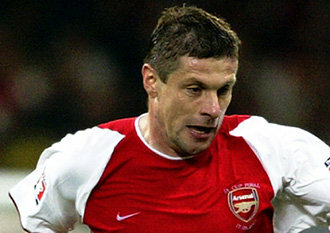 In the last league game of the 2003/04 campaign Arsenal needed to avoid defeat in order to become the first side to complete an unbeaten league season since Preston North End had achieved the feet in 1889. North End had competed in a 22 game season winning 18 and drawing 4 games, PNE also won the FA Cup that year without conceding a goal during their run to the final, becoming the first side to win the league and cup double. Arsenal completed their own Invincible campaign having played a 38 game season, almost double that of North End. The Gunners record stood at an outstanding 25 wins and 12 draws as they took to the pitch for the final time that season and their chances of reaching the incredible land mark were put under pressure in the 25th minute when former Gunner Paul Dickov headed the visitors into the lead. Arsenal hit back from the penalty spot in the 44th minute to put the record attempt back on track after Ashley Cole had been brought down by a clumsy Frank Sinclair challenge. The Gunners made sure that the landmark season finished with a win when captain Patrick Vieira clinched the winner in the 66th minute but the unbeaten record wasn’t the only celebration at Highbury that day. 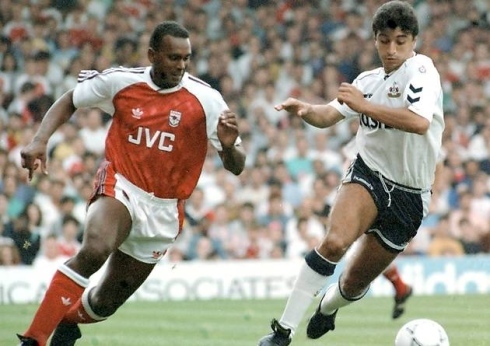 Of course the Gunners had already clinched the league title at White Hart Lane after a 2-2 draw on April 25th and it was the late substitute appearance of Martin Keown which added to the emotional atmosphere at Highbury. 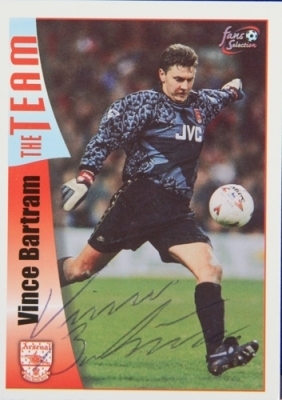 The stalwart, in his second spell at the club, had been assured a league championship winners medal after coming on to replace Freddie Ljungberg in the 87th minute. This was to be the defenders 449th and final appearance for the club as he left on a free transfer that summer to join Leicester City. Keown would only spend six months with the Foxes making just 17 appearances before an apparent falling out with then boss Mickey Adams saw him move on to Reading in January ’05 in a deal that would take him up to the end of the season. After just five appearances for the Royals Keown hung up his boots at the end of the campaign, twelve months after bringing down the curtain on his Arsenal career. I’ve been reliably informed that the Arsenal’s 250th League goal came against Leicester Fosse and the Gunners 2000th & 2500th league goals came against the side who had by that time become Leicester City and that Bobby Gould was the first ever Arsenal substitute to score a goal which came in a game against guess who. I wouldn’t be at all surprised if even more of these quirks existed. Maybe I’m romanticising it all a little for personal reasons and maybe if you started to dig around you’ll find little crotchets of fate scattered everywhere but I can’t think of any other side that has played such a prominent part in Arsenal’s 125 year history without ever getting much of a mention. It was a mild afternoon for November, but you could tell the winter months were soon to be upon us. I think it will be the last game for a while without my big winter coat. I must admit, although I consider myself optimistic, I’m never really confident going into games. I think I’ve always been like that, I don’t think it’s due to our relatively recent proneness to losing games we should be winning. That being said, walking up the road to the ground I just couldn’t see anything but an Arsenal win. Obviously we’ve been doing a lot better recently, but there’s still a long way to go. However, I watched West Brom’s game against Liverpool last week, and I just thought they were poorer than most other teams I’ve seen this year. 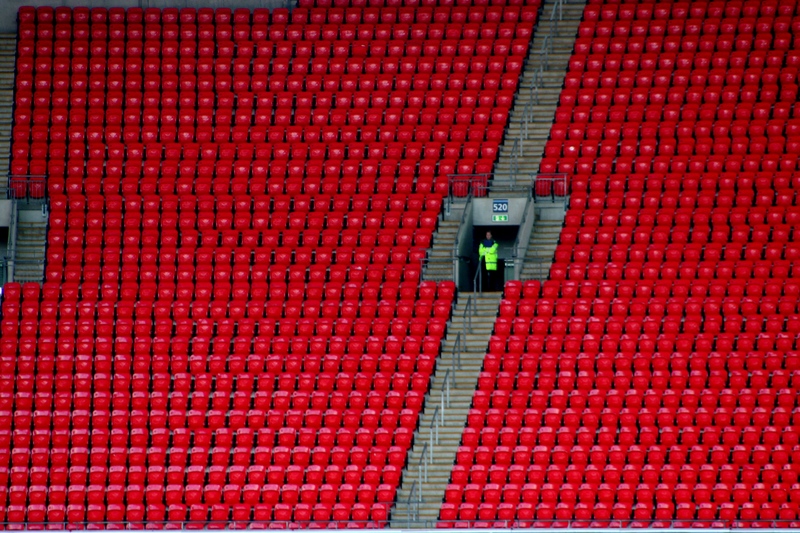 I got the feeling I wasn’t alone in my view; there was a confident buzz around the ground. The biggest selection question mark was over the central defence partnership. With Thomas Vermaelen back fit and ready for selection, and the good form of Koscielny and Mertesacker, for what feels like the first time in ages, we have options in central defence. Mr Wenger took the decision to play Vermaelen and Koscielny together, which seemed fair as the big German has played almost every game since he got to the club. The other question mark would be over the right back position. Would Johan Djourou get the chance again, or would Arsene show continued faith in young Carl Jenkinson? Jenkinson got the nod. The Emirates Stadium observed the minute’s silence for next week’s Remembrance Day before the game. I don’t know about you, but a period of reflection before a game always seems to give a sense of perspective. It was obvious from kick off what West Brom’s game plan was. They were going to stay disciplined with their shape, and not commit much going forward. From watching their game last week, I can’t say I’m surprised. Considering what they did to us last season though, you could rightly accuse them of lack of ambition. Arsenal took control of the game early on, and were allowed a lion’s share of possession without being able to find the breakthrough. Walcott, Gervinho and Van Persie were interchanging well, making inroads and finding space in amongst the West Brom backline. Santos and Jenkinson, who were not under any pressure defensively at all, had free reign to join in the attacks. You got the impression that it was only a matter of time until we made the breakthrough. Just over twenty minutes into the game, Arsenal had the ball in the back of the net. It was from a familiar source with our talismanic Dutchman on the score sheet, he won’t get an easier one all season. The architect of the goal was Aaron Ramsey. He played a fantastic defence splitting pass through the inside of West Brom’s left back. Theo was in behind the defence. He bore down on Ben Foster and attempted to put the ball through his legs. The ball caught one of keeper’s legs, but rolled straight into Robin’s stride, and he simply rolled it into the empty net. One-nil to the Arse-a-nal! I began, although only very briefly, to feel sorry for Simon Cox. He was the only WBA player to have any real attacking responsibility. They just seemed happy to pump the balls into the channels and let him chase them. Even in the rare occasion he made it to the ball ahead of a man in red, there was no one in a striped shirt within 50 yards of him. Arsenal’s second goal of the game came (indirectly) from a corner. West Brom failed to clear a corner properly. Alex Song put a deep cross into the far post from the left, Robin had timed his run perfectly. Realising the acute angle made it almost impossible to score; he pulled the ball back across goal. Thomas Vermaelen was still up the pitch from the corner side-footed the ball past the flat-footed Ben Foster. Robin who was gifted an easy opportunity for the first goal, did the same for a team mate for the second. As the whistle blew for half time, I turned round to Darren and said, “Have they had a shot yet?”………they hadn’t! As the second half got underway, you got the feeling that Arsenal were not going to put West Brom to the sword. Having gone two goals up without getting out of second gear, you got the feeling they were going to finish the game off without getting out of first. Freed up by West Brom’s reluctance to put Arsenal under any pressure, Jenkinson was making some fantastic runs down the right flank overlapping Theo Walcott. The pleasing aspect with this was the fact that when in the good position, his delivery into the box was fantastic. He was unlucky not to get an assist in the second half. With only twenty minutes to go, Arsene felt it was time to make a change, and I felt it was right. The game needed some renewed impetus. Arsenal made a double substitution with Benayoun and Rosicky coming on for Ramsey and Gervinho. The change had an immediate impact. Yossi and Tommy Ros were busy and interchanging passing moves. They were not on the pitch for five minutes when Arsenal added their final goal. Robin Van Persie moved forward with the ball and played it out to Thomas Rosicky, he found Robin in the penalty area. Robin (who obviously has the whereabouts of his team-mates etched in his brain) played the ball out to the edge of the box to the waiting Mikel Arteta. Mikel side footed the ball into the corner of the net to wrap up the game. West Brom made a final throw of the dice to salvage some pride, but it came to nothing. It was as comfortable a victory as you can ask for. I was pleased with the performance in general, although I haven’t seen a team as poor as West Brom this season (well…. apart from a certain performance at Old Trafford in August). Along with Wigan, they are looking in serious trouble to me. Robin continued to look like a world beater with a goal and two assists. Ramsey’s recent good form continued, and he seems to be growing as a player with every performance. I was also particularly pleased for Carl Jenkinson. He’s had a fair amount of criticism this year. He’s definitely not the finished article yet, but his improvement is particularly encouraging. 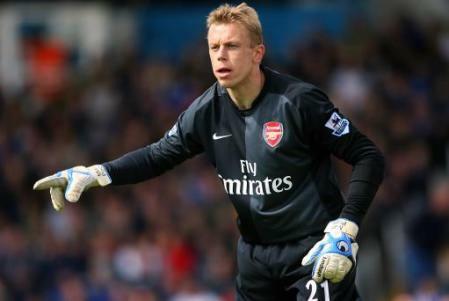 Let’s face it; the lad’s a Gooner….. he’s living the dream, and I for one wish him all the best. We now enter another teeth pulling International break. I, for one, will just be praying we don’t pick up any injuries. Then it’s Norwich away! I’ve never been to Carrow Road, and I’m really looking forward to it. Still, another weekend…….. another win! What Crisis? I won’t go into detail on that 2-3 defeat at the hands of a Baggies side that had only just come back up after a spell in the Championship, to find yourselves trailing by three goals at home against a newly promoted side who had seen a first half penalty saved makes for as uncomfortable viewing as any of this seasons defeats doesn’t it? Chelsea number two Roberto Di Mateo was the man in the West Brom hot seat back then so at least the Italian won’t be able to stage a similar game plan this time around but I’m sure Hodgson will be reminding his players that victory is achievable. In all honesty I think we’ll be far too strong for the Baggies but then again I said that last season too so what the hell do I know? But given our current form particularly at the Emirates I find it hard to see past a home win, even when I take my Arsenal-tinted glasses off. If I’m honest I don’t really know how Albion are getting on this season, I know that’s fairly lazy of me and usually I would have spent a little time looking at their form and their squad so as to offer you a bit more insight on the fixture, at least I hope that’s what you usually get from my match previews?, but I’ve not really had the time and as I sit writing the first draft of this post I’m upon a train headed for the south coast of England with no form of Internet connectivity. I’ve dredged my brains for some kind of repressed memory I may have that gives an indication of our opponents form but I’ll I’m getting is a vague recollection that West Brom’s “celebrity” fans include Frank Skinner and Adrian Chiles. I don’t particularly like either of those two but if the people in charge at the Hawthorns want to do a swap for Shovel from M People and Piers Morgan I don’t think it’s a deal I could turn down. Anyway I digress, partially as a distraction technique to cover up the fact I’ve not done my home work but partly because I’m quite adapt at going off on a tangent.. So back to the game and we have no new injury concerns. It’s incredible isn’t it, we seem to have had a real run of our key players staying fit (everybody touch some wood – except you over there, you stop what your doing right now. That call for mass wood touching was not a euphemism you pervert) Kieran Gibbs and Marouane Chamakh remain unavailable but aside from those two and long term absentees Jack Wilshere, Abu Diaby and Bacary Sagna we’re at full strength and I for one think thats pretty flippin’ positive and I’ll be praying that when the players return and we awaken from yet another inter-coma in a couple of weeks time that will still be the case. The boss says that Gibbs and Chamakh should be available again by then so that should strengthen us even further, depending on how you look at it, but the gaffer has made those sorts of predictions before. Take Diaby (some body please take Diaby) the Frenchman has been expected to return after every international break since Euro 2008 or at least that’s how it seems. With such a wondrous selection of players for Wenger to choose from it’ll be interesting to see the line up this afternoon, I think we’ll see the return of Laurent Koscielny and it could well be Per Mertesacker who makes way. Vermaelen needs game time and Larry had a breather during the week so let Mertz have a break. I know it won’t he the first time we’ve seen Vermaelen and Koscielny paired together but it will be interesting to get a look at the duo marshalling our back line together. I’ll be surprised if Van Persie dosen’t come back into the side, I don’t think Park was quite as poor against Marseille as some posts have suggested but personally I wouldn’t start the South Korean today. Play Robin from the get go and hopefully with a large chunk of the second half remaining our lead will be comfortable enough that Ju can replace the Dutchman and maybe show the kind of form he did against Bolton in the Carling Cup a few weeks ago. There has been a lot of talk this week of January moves for a striker, it’s something I would welcome especially if it were a player such a Lukas Podolski as some have suggested because I’m a big fan of the German. But for now Wenger is claiming he is quite happy the options he has up front but then again he would wouldn’t he. Other than Robin & Larry coming back into the starting XI i think the team will stay the same, the boss isn’t going to rest players ahead of their international jaunts so aside from those two I don’t think we’ll see any changes from Tuesday nights European stalemate. 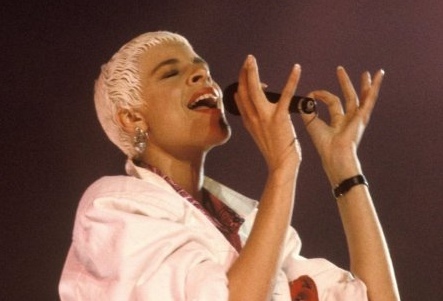 I’ve just remembered something else about WBA – With his hair dyed platinum blonde Peter Odemwingie looks like ’80’s pop star Yazz. That would most likely be more of a benefit to the baggies were they attempting to win promotion from the Championship. Christ, M People & Yazz in one post… I think it’s time for me to wrap this up. I’m not going to be at the game this afternoon, as you read this I’ll be on a completely separate body of land and the reason for that is related to the fact that I’m 32 years young today – Yep 1979 was a great year for Gooners. All I want in way of a present is an Arsenal win and three more of those precious points. Enjoy the game wherever you’re watching it and keep me updated on events at the grove via Twitter. Dave will be delivering your post match report tomorrow so be sure to check it out. Arsenal related news is fairly thin on the ground this morning so rather than scrape the barrel in the sense of cobbling some cobblers together I thought I would formulate a little Arsenal related quiz for you (Yes it is lazy of me, I agree). I’ll admit, it’s probably not the most advanced Arsenal quiz ever compiled but c’mon… It’s Thursday nothing is happening just humour me and go with it ‘eh? What do you say, are you in? In an attempt to get this back on a football footing you’ll get 3 points for every correct answer and I’ll pick a winner at random (unless the only person who bothers taking part is Big Dave) and announce the champ and the answers in tomorrow’s post. Ok I won’t know, but try not to cheat.